A comprehensive flowchart and organization chart package. Easy to use. Features color and font support, multi symbol and border styles and auto routing of lines in multiple styles. Multiple document support, drag and drop objects between documents. Chartist is an interactive flowchart application. With Chartist you can create, edit, and print flow charts, organization charts, or other charts that use similar components. Through the use of the Windows Clipboard, you may also paste all or part of the charts you create into other documents, providing the application can read Clipboard bitmaps or metafile pictures. Chartist supports the OLE feature of Windows, allowing other applications to link or embed Chartist information. Supports multiple documents. Data may be exchanged among Chartist documents, using the Clipboard or drag and drop. Chartist supports the text, graphics and color capabilities of your display and printer. Text in a Chartist document may use any number of the fonts available from your printer. A Chartist document is one or more pages in size. The orientation of pages depends upon the settings for your printer. Within a Chartist document there may as many as 4000 symbols. A symbol is a polygonal shape with optional text or graphics inside it. The text inside a symbol may be in any of the fonts available from your printer. Multiple fonts may be used for the text inside a symbol. Lines may be drawn between symbols. 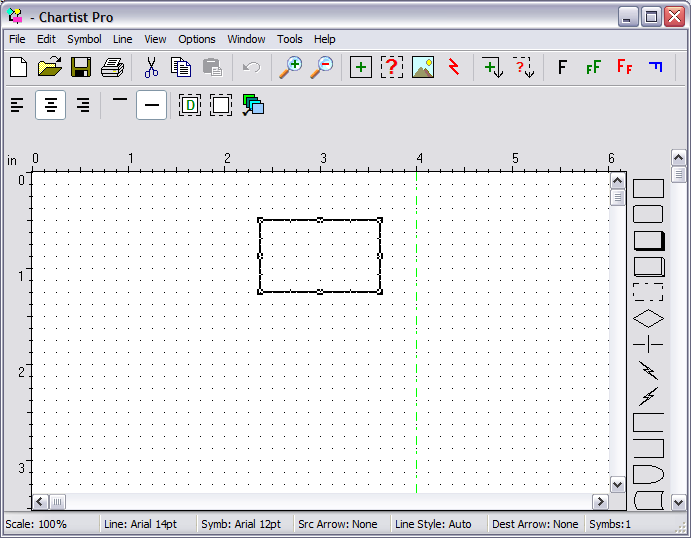 The lines are routed automatically, with influence from the user as to symbol entry and exit points. Lines may be drawn with or without arrowheads, in different thicknesses, with solid, dotted or dashed pen styles, and with three different routing styles (straight, curved, square turns). When symbols are moved around the document, any associated lines are rerouted and redrawn as necessary. Lines may also be labeled with text. Create custom browsers, real eBooks, presentations, multimedia in your own design via Drag & Drop. Integrate any web-technology. Get results within minutes. Make crazy standalone software (exe, setups) without programming - easily! Award-winning app! Unicode Image Maker is designed for situations when you need to use unicode text in a program but its not supported natively; you can use this tool to create a graphics image of your unicode text and embed the image instead. CrackTiff is a tiff converter & merger, able to convert tiff files from one compression mode into another, such as convert uncompressed tif into PackBits, group 3, group 4, LZW, JPEG compressed tiff. You can also merge more tiff files into one. Aye SplitTiff is a tif tiff splitter able to split multiple-page tif tiff files into single-page tif files in batches. Both GUI and command line modes. Within one single program, you can view and compare pictures, move one or more pictures to new folders, rename one or more pictures with only a few mouse clicks, flip and rotate pictures. And of course you can move and categorize all other files too. Captures regions, windows(using auto-scroll), menu, cursors, colors, DirectX games. Extracts images from EXE, DLL files. Can record any screen action and save it as an AVI file. Supports a variety of graphic formats. Has a lot of additional features. ConceptDraw MINDMAP is a business productivity software for mind-mapping, brainstorming and project planning. It lets you present ideas as a visual map taking full advantage of pictures, symbols, text notes and integrates with MS Office software. This programm is intended for all WWW authors. It cuts large graphic images in few pieces and then creates the HTML file with the table which shows an original picture. Then you can add links to pieces to create some kind of an image map. This site does not contain serial number, crack, keygen Novagraph Chartist Flowchart serial number : serial number is the simplest type of crack. A serial number(cdkey,product key,etc) is register the program as you may already know. a crack or keygen may contain harmful software. If you cannot find the exact version you want, just give it a try. for more information read .nfo/.txt/.diz file include in zipped file.